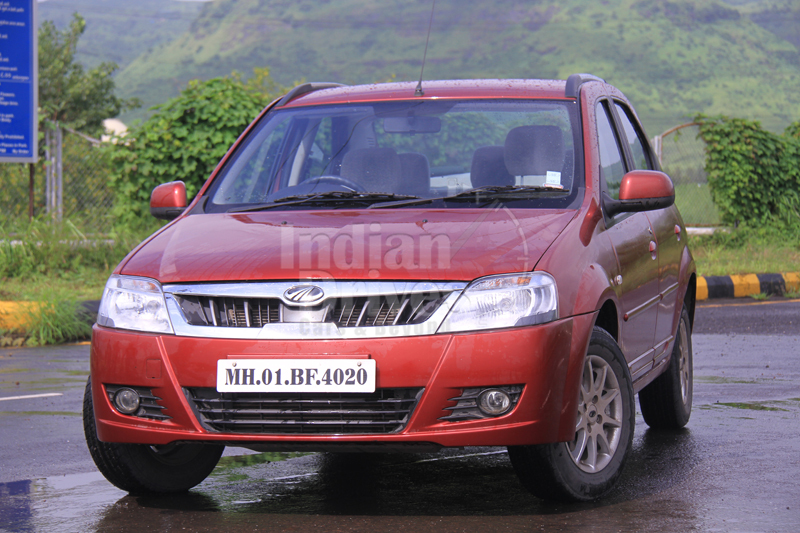 Mahindra Vibe is the hatchback version of Verito which is being chopped off by the boot space from its elder sibling. However, it is also learnt that the tailgate to be opened from the rear end of windshield leaving only a small amount of space for the luggage to barge in. Rear tail lamps are seen clipped on the edge of rear pillars. However, as nearing the launch, it had started reaching dealerships. Known for the yellow number plates most probably, Mahindra Verito hatchback also seems to be sharing the same trait in achieving major of shares of market i.e. from travel and tourist industry. Henceforth, pricing expected to remain down the line of Rs. 5 lakh. Engine specification says, Renault borrowed 1.5L K9K diesel mill to be in its bay producing 65 bhp and 160 Nm of peak torque whilst of a good fuel efficiency in return for the augmented segment. We think, Mahindra is eyeing a large chunk of volume in market that it had lost in the new SUV based taxation from 2013 Union Budget. 5th June 2013 is the officially slated date of receiving ‘Vibe’. Ford EcoSport is the most awaited vehicle in India during the present times, which had created a good amount of fanfare due to its unique segmentation and positioning. 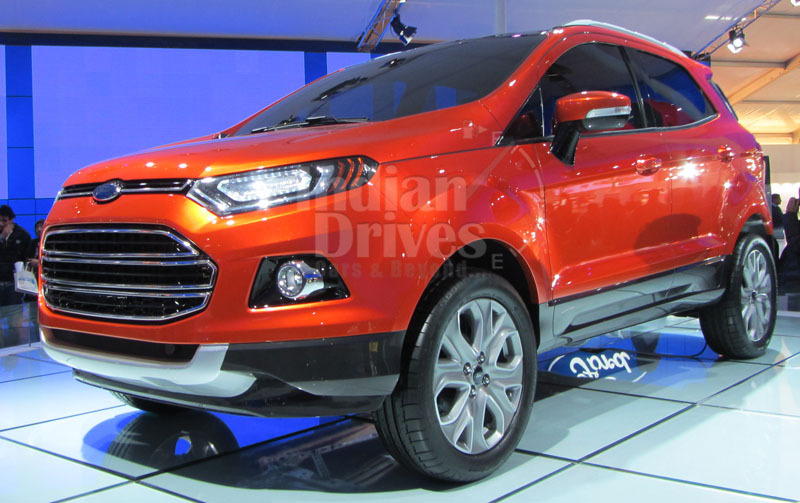 Slotted in the compact SUV segment, EcoSport and its types are said to be riding the expositions of hatchback. Not much confirmed about the launch dates but we expect one from the June 11, June 14 and June 15 2013. However, the 1.0L EcoBoost, a 1.5L normally tuned petrol and the 1.5L diesel are the three engine displacement that are meant to be driven on Indian shores. EcoBoost had claimed a number of awards on its names throughout the globe and finally with the EcoSport it is going to make debut on our local shores. We can only say the mid of June will have the best of Indian automobile fraternity. More to excitement, the official bookings have been started at authorized Ford dealerships that too with the initial down payment of just Rs. 50,000; and deliveries slated to commence in month of July. 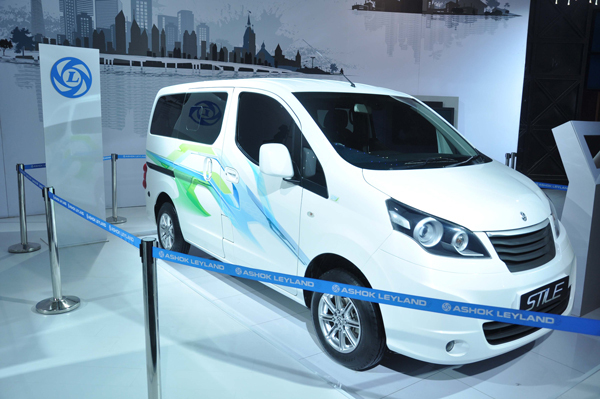 Ashok Leyland Stile is the first venture of automaker in the layman’s vehicle arena otherwise the brand has a reputed name in HCV segment. Getting cues from Nissan due to the official tie ups in between, Stile will receive many derivations form the Evalia. However, the automaker had displayed it at 2012 Delhi Auto Expo but due to some extensive R&D process, launch got delayed for a long while. Just caught testing yesterday itself, Stile is said to be doing the final rounds before the launch which is going to happen near the 15th of June, i.e. in the mid of this month. Learning more from the spy shots, we were bestowed that head and tail lamps to differ than the Evalia whilst of more comfort bits on Stile to be replaced by practical ones. Hence the core commuter segment is targeted under its hat, can be easily smelt from the hot derriere of expectations. The ongoing 1.5L K9K engine is talked to be engulfed in its engine bay producing a good 85 bhp and 200 Nm of peak torque. Even the CNG version in the pipeline is there to make debut shortly after the launch for serving its core purpose. 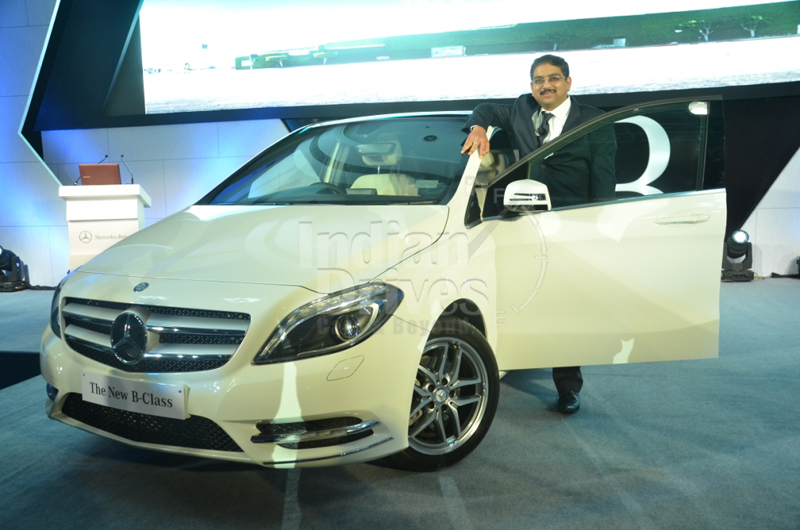 Mercedes Benz B Class was launched last year but the Germans had made it available in the petrol version only. After receiving good response from pre-launch activity and also the media’s interaction on A Class, MB gained up those lost confidence and decided to launch the diesel version of its station wagon. As speculated, the same 2.2L mill of A Class will also be fitted in its bay. Hence, not much of the speculations to go with, but ending days of June to definitely to bring in the priorities for this star badged German brand. 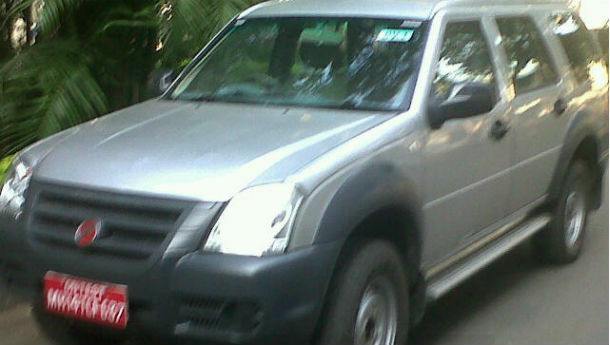 The Pune based carmaker Force had recently revealed Gurkha, and now with the success of Force One SUV it is planning to launch a base model of same that is expected to do only with cosmetic changes rather than technical ones. The trimmed down version of it would allow the automaker to enter a new audience segment. As learnt from the spy shots, body colored bumpers and ORVMs to be replaced by a black colored plastic whilst of losing down the daytime running LEDs, fog lamps, roof rails, alloys and chrome inserts on inside, so as to keep the cost minimum. Not much known yet, but the top of line AWD version also called to make a debut in future. Very recently debuted to the world, Jaguar F Type was recently caught testing on Indian shores. It had claimed the design of the year award 2013 due its admirable flowing lines from front to back and also the skeletal carvings throughout whole of metal, which added more charm to the already groomed beauty. Donned with the 3.0L V6, 3.0L V6 S and a madder 5.0L V8 S, India is going to take only the (S) supercharged version of both the displacements. The younger S is leant to be pouncing out 370bhp whereas the larger one to be grabbing the 488 bhp. Both of the trims had superb speed claiming numerical texture and also had recorded immense notifications in 0-100 kmph sprint. Prices are expected to remain in between Rs. 1.3 – 1.5 crore but the exact launch dates are still not stated clearly by the automaker, we speculate to be in the end of June.